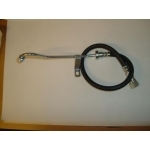 We can usually recondition Brake and Clutch cylinders across most of the Ford Commercial vehicle range. 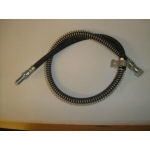 Brake hoses and hydraulic seal kits usually avaiable from our extensive stock. Clutch Slave Cylinder - 1 1/8" Bore Ford Cargo 0809/ 0811/ 0813- 01/85 on - All Mo..
Front Brake Hose Ford Cargo (2 hoses per side). Models with Front Drum Brakes only .. 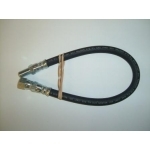 Right Hand Front Flexible Brake Hose for Ford Cargo models with Disc Front Brakes Ford Cargo ..
Left Hand Rear Flexible Brake Hose for Ford Cargo with Disc Rear Brakes Ford Cargo 0809/ 0811.. 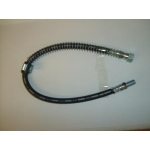 Right Hand Rear Flexible Brake Hose for Ford Cargo with Disc Rear Brakes Ford Cargo 0809/ 081..
Ford Transit Front Left Wheel Cylinder 1968-1970 25,30,35, cwt September 125,130,150,175,Van ..
Ford Transit Front Right Wheel Cylinder Model 25,30,35 cwt September Model 125,130,150,17..
Ford Transit Rear Wheel Cylinder 30,35 cwt September 1968-1970 125,130,150,17..